How To Lose Belly Fat Marketing Package MRR comes with all you need to grab your share of a big profit niche with master resale rights to sell all you want. 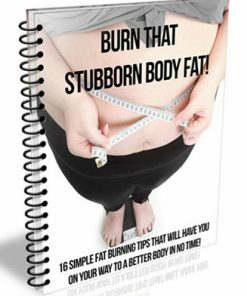 I know I don’t have to tell you how large and highly profitable the weight loss and diet niches are. 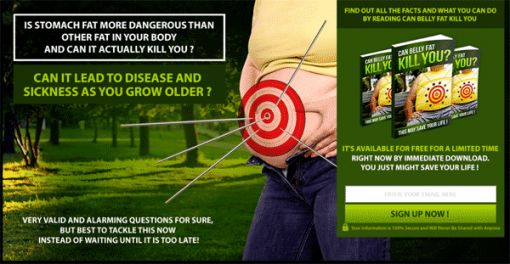 You see the commercials everywhere all the time because it’s a huge market with so many people more than willing to spend money if it helps them shed the pounds. Here is your opportunity to grab your share of the multi million dollar market with this ready to use marketing funnel with so many extra’s. 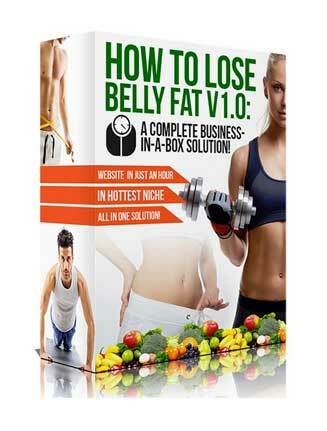 This package comes with everything you need, and more, to tap into this very lucrative market. It’s loaded with all the marketing material you need. Ebook 1 – 6 page PDF entitled, “Foods That Burn Calories Fast”. Perfect way to get prospects into your funnel and reap the profits. Contents listed below. 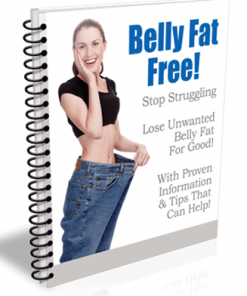 Ebook 2 – 7 page PDF entitled, “Can Belly Fat Kill You? A hot topic that is sure to get you business. 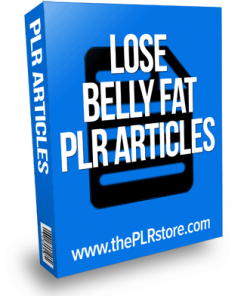 Articles – 21 quality plain text all related to fat and belly weight loss. Copy and paste ready to use content that is easy to edit as you want. Simple promotional content. Squeeze Pages – 2 different landing pages, one for each of the reports above. Just copy and paste your optin code into the page, upload and it’s ready to build you a list on automatic.Plus there are 3 versions for each one. 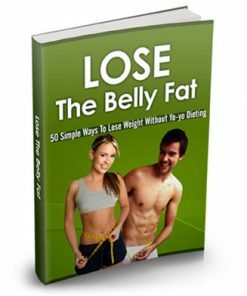 Autoresponder Sequence – 30 pre written email messages all dedicated to belly fat loss. Copy and paste into your autoresponder service and you have another potential profit machine working for you on auto-pilot. Keywords – Target those perfect prospects with this belly fat related keywords in plain text format. 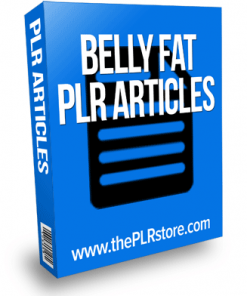 Affiliate Programs – Plain text file that lists related affiliate programs you can use to cash in on this niche. 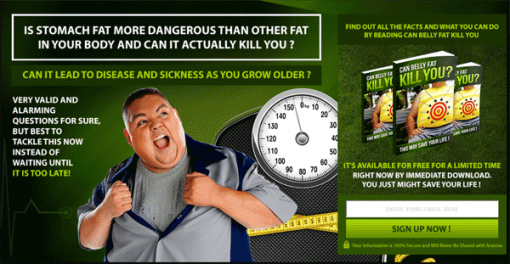 Banners – 10 high quality and professional banner images you can use to push traffic to your How To Lose Belly Fat Marketing and gain even more prospects. Popular sizes of 160×600, 250×250, 468×60 and 728×90. Deluxe Theme – Ready to go wordpress theme you just need to upload and activate. 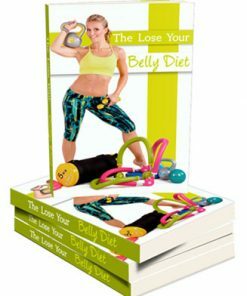 Ebook Covers – Many different high quality covers for each of the ebooks included in the package in many different sizes. Facebook Top Banners – Tow professional banners made just for facebook in the size of 821×315. 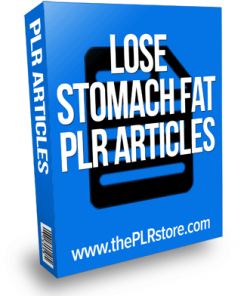 Fat Loss Theme – Yet another ready to go wordpress theme that just needs to be uploaded and activated. 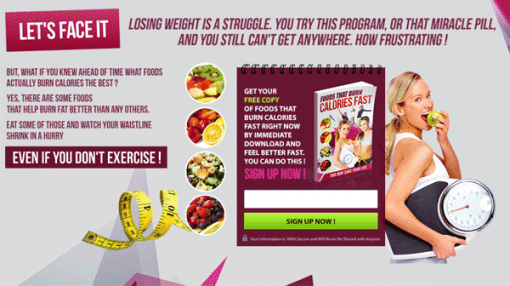 Fat Loss Them 2 – If the above wasn’t enough, we’ve included yet another wordpress theme. Headers – 4 header images designed just fro this package in the popular size of 900×250, all in JPG image format. Other Graphics – Bunch of extra images here. But Are These Negative Calorie Foods Good For You? [YES] Ebooks Can be given away in PDF format only for list building [NO] Cannot be given away for free.